As your company grows, you may realize challenges arising regarding your customer demographics, locations, updated manufacturing methods, new technology, and more. Meeting these challenges, and continuing to provide the best service possible to your customers is only possible if you are able to adapt to these changes. While running your business from your home office seems like the affordable option, a growing business needs the ability to expand while still delivering the same efficiency and quality service. This is where third-party logistics service providers come in. 3PL fulfillment, distribution, and warehousing services in Toronto will help you stay afloat as your sales, customer base, and demands grow. What exactly are 3PL providers and what do they offer? Here’s what you need to know. What Is a 3PL Service Provider? 3PL service providers offer a variety of services and processes that help businesses reduce costs, improve efficiency and expand capabilities. These providers are flexible and scalable to help you accommodate the needs of your business. You can opt for a short-term partnership with these providers for peak seasons or choose a long-term solution to meet your goals for growth and expansion. Here’s what 3PL providers can do for you. If you, like many small to medium-sized businesses, do not have the resources or manpower to manage your e-commerce operations in your home office, a 3PL provider can empower you with affordable, professional services like online ordering, delivery services, warehousing, and more. Understanding how to utilize technology to boost efficiency is something 3PL providers excel at. It’s their job to help you implement technology to make it easier for customers to order your products online, track product movement, and more. A 3PL provider with effective warehouse management systems (WMS) can help you improve the sorting, picking, packing, and storing processes in the warehouse to simplify your work load. The active management of activities in the supply chain to increase customer value and excel against competitors is known as supply chain management (SCM). This service is provided by 3PL companies to help businesses develop and run their supply chain efficiently and effectively. From product development, sourcing, production, and logistics, to various and necessary information systems, a 3PL provider can manage and coordinate your activities. Inventory management involves certain processes and systems that manage the supply chain, demand forecasting, inventory, and reverse logistics. Tools involved in inventory management systems (IMS) include safety stock, economic ordering quantity, cost of goods, customer-managed inventory, inventory turnover, vendor-managed inventory, and more. Each industry requires a unique level of IMS, which is why some 3PL providers utilize lean practices to help you use only what you need in terms of plant rental, standing inventory, shipping costs, etc. Transportation is one of the most important areas in your supply chain and having the right partner can make all the difference. Choosing a 3PL provider who has warehouses near your customers will save you money in transportation, and allow you to deliver orders faster. They can also ensure consistent and safe delivery of your products. To meet the unique needs of your business, a 3PL provider will be flexible with its packaging and repackaging services. Packaging is more than just putting something in a box. It requires proper documentation, tracking, and sorting to name a few. From handling and record-keeping to weighing and pricing, your 3PL provider’s procedures should help you get the most of your packaging and repackaging at an affordable cost. Regarding repackaging specifically, this value-added service is designed to help you problem-solve when a change or reconfiguration needs to be made to a product. It is important that your 3PL provider implement continuous improvement (CI) to improve your products, services, and processes. By doing this, they can help you make incremental improvements over time, or help you make breakthrough improvements that immediately take effect. Cost savings: With their vast network of resources around the area, they can provide you with the manpower, efficiency, and convenience to help you save money. Flexibility: Your business is constantly changing, and a 3PL provider with flexibility can help you accommodate those changes as they come. Efficiency: 3PL providers can make your business run better than ever. With lower cost per unit shipping, faster transportation, reduced delivery times, and more, you can focus on your core specialties like product development, sales, marketing, and customer service. Customer experience: You can achieve faster, more reliable delivery times, improve tracking and visibility to your customers, reduce the risk of damaged or incorrect product packaging, and much more. These benefits improve your quality of service and as a result, make your customers happier. International reach: The end goal for most companies is to expand further, so when you want to reach customers in a different country, you’ll need a partner that can meet international regulations, customs clearance, and communication expectations. A 3PL provider can help you enter new markets with their established and extensive networks. A 3PL provider can help you thrive in challenging situations such as costs, logistics complexity, and the ever-changing customer demands. They can help you deal with these challenges before they hinder your success and they can bring you many additional benefits with their robust software and technology. If you are looking for the right company to partner with, Lean Supply Solutions is the answer. We rise to the challenge of meeting our clients’ needs through our services which include product fulfillment, warehousing and distribution, e-commerce fulfillment, warehouse pick and pack, order fulfillment, and more. To learn more about outsourcing to our 3PL logistics in Toronto, or to ask any questions, contact us today. It’s no surprise that the use of warehouse automation has been growing at a rapid pace. This is because of the continued growth of e-commerce and the challenges faced by organizations to keep up with the demands of an ever-changing global marketplace. E-commerce has had a huge impact on the logistics industry and consumers seek greater value, choice, and convenience when they order products online. As customer expectations rise, organizations need to keep up with their demands to succeed. Bringing logistics automation into the picture enables organizations to meet these expectations. Here’s what you need to know about the benefits of automated sorting systems, and why you should include it as part of your logistics services. 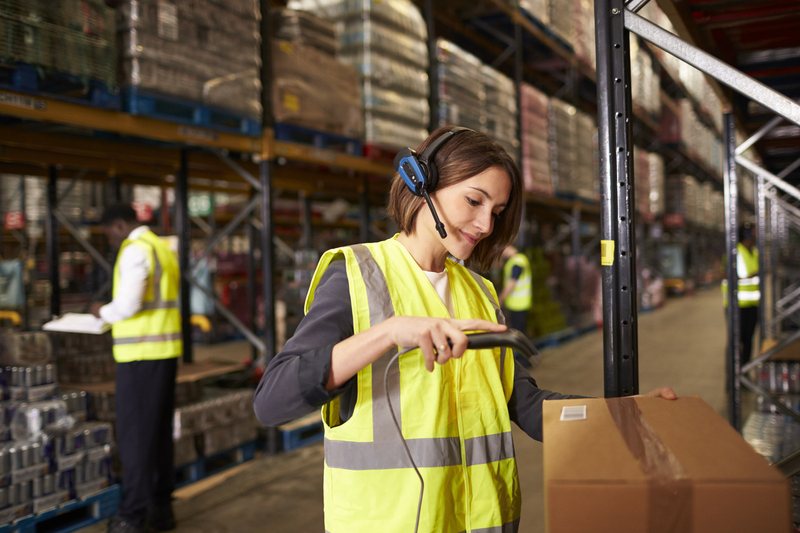 In the warehousing industry, there are typically a variety of similar tasks that need to be performed hundreds and thousands of times each day. By using automated sorters to replace some of these tasks, the labour hours necessary for operations can be reduced. This advantage is especially effective in today’s competitive labour market, where availability of workers is becoming a greater issue each year. The demands placed on operations are growing too quickly for warehouse workers to keep up, and there is a greater expectation for warehouses to do more in less time as time goes on. Automated sorters can handle time-consuming tasks that have a high risk of error, to help businesses keep up with the growing demands. Automation allows businesses to control all the variables that affect their operations, and give them better control over possible future scenarios. Information control deals with knowing the exact number of orders filled per day, how many should have been filled, and how many were supplied on the same date in the past. If the results are disappointing, the organization will gain insights and notifications to demand an improvement. Automated sorters help achieve over two times higher process efficiency without needing to expand storage space or workforce. The highest potential for these systems is seen in the picking process. The sorter uses a pick-by-light system where the list of products is replaced by a digital display of signal diodes. It suggests the actions that should be performed, and minimizes the risk of errors. Specifically, in regard to the picking process, speed is improved through the sorters. It enables order picking in parts to prepare a concrete batch that is quickly sent to the receiver. When humans are in charge of the sorting process, errors can happen. Hand sorting can introduce errors and problems that can be avoided with the use of automated sorting systems. Issues like misrouted packages, or incorrect order picking can affect delivery times and customer satisfaction which are vital to your success as a business. By replacing manual labour with automated technology, you can get twice as much work done and reduce virtually all the risks of human error. These systems are capable of classifying over 300 boxes per minute with a single unit, and larger amounts with multiple units. When it comes to serving customers that demand high order quantities, these products can be delivered without error. People make mistakes, but this goes beyond damaging products or getting an order wrong. Safety in the workplace can mean the difference between a safe environment and a dangerous one. When workers get tired or distracted, accidents can happen, and these can cost the companies money and reputation. Broken products cannot be sold, and damaged equipment needs to be replaced. The worst accidents can lead to reportable injuries or even death! When employees are trying to keep up with high operational demands, these risks increase even more. By inviting automated systems into your operations, you can remove human error and many associated risks to save money and improve workplace safety. Automated sorting systems can handle hazardous substances, work in extreme temperatures, move heavy products, and operate in a controlled, organized manner even at top speeds. Automation allows for better traceability, so customers can keep track of where their packages are. Data can be collected to give customers a timeline for when they can expect their order to arrive, all from one location. Without the risks of human error, automation decreases the requests about missing packages. As e-commerce develops and becomes more convenient for consumers, they have the ability to choose the delivery process for their orders. They make these choices based on affordability, reliability, and trackability. In order for these features to be affordable, businesses need to consider how efficiently they can manage their product movement. To be reliable, you need data. To be trackable, you need to share the data with your supply chain partners. This leaves businesses with the challenge of improving their operations to be better than their competitors. Without the right support, your business can fall behind, and your consumers will be unsatisfied. To get the most from features like automated sorting, you will need a third-party logistics partner that has the right technology available to you. Lean Supply Solutions provides supply chain management using automation and robust technology, and we make ourselves aware of the rising trends to help our clients succeed. We commit to being aware of our clients’ operational challenges and help them get the most out of their processes. We can offer consistent, accurate, and quality results by striving to ensure that the right products are provided to the right customers at the right time, while saving you money, and we can help you track and understand your metrics better. To learn more about our logistics company, or to ask any questions, contact us today.